If this sounds like you, just know that there is a way to get your smile looking the way you want. With cosmetic treatments like teeth whitening, cosmetic bonding, porcelain veneers, and tooth-colored fillings, you can get a smile you’re proud to show off! For a smile multiple shades whiter, patients can take advantage of both in-office whitening and take-home whitening kits. In the office we use Opalescence to dramatically whiten teeth in less than an hour. However, if you’d prefer to whiten teeth on your own time, you can get the same professional-grade whitening agents to bring home and whiten your teeth over a couple several weeks. Additionally, performing whitening touchups is even more convenient when you opt for take-home kits. Trust us when we say these are not your typical over-the-counter whitening treatments! When you’re looking for an effective way to hide chips and cracks, without spending large amounts of money, cosmetic bonding can help. Through the use of composite resin, your dentist can create a custom blend that matches your existing teeth and hide imperfections. Alternatively, if you have alignment or spacing issues with your smile, you can easily fill those gaps with the help of cosmetic bonding material as well! It’s also ideal for patients who have short teeth and want to make them appear longer. When teeth whitening simply isn’t giving you the results you want, or you want to hide multiple imperfections in your smile simultaneously, porcelain veneers can get the job done! 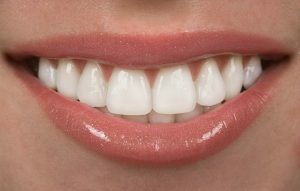 Veneers are ultra-thin sheaths designed to sit on the visible portions of your smile. While your dentist will need to remove a small amount of enamel to place them, there is truly no cosmetic treatment quite as effective and transformative like veneers. Not only will they make your smile look incredibly, but the natural porcelain material they’re made from is stain-resistant. This means they won’t stain like natural tooth enamel thanks to its smooth surface. Whether you have new decay that needs repairing or you have old dental fillings from a previous dentist, you can get them replaced with an alternative that doesn’t have that ugly silver color. By using composite resin, your cosmetic dentist can restore your natural teeth in an aesthetically pleasing way! Ready to get the smile you’ve always dreamed of? Schedule a cosmetic consultation today to learn which treatments are right for you! Dr. Gary Klugman earned his DDS degree from Washington University. He’s also a member of the American Academy of Cosmetic Dentistry, which helps him stay updated on the latest techniques in cosmetic treatments to provide patients the best care possible. To learn more about his practice, contact him through his website.